Hyundai Motor India Limited (HMIL) the country’s largest exporter and the second-largest car manufacturer announced the launch of the all-new 2.4 liter GDI engine powered Sonata at the 11th Auto Expo. The global premiere of the multi-purpose vehicle concept Hexa Space (code named HND-7) was the other key highlight of the day. Keeping in mind the beauty of the orchid flower the all new Sonata is crafted on the principles of “Fluidic Sculpture” where contrasting surfaces create a vision of continuous motion. The cues for the front grille design are taken from the harmony of flowing water. Fluidic Sculpture lends the sedan cutting-edge architecture and top-line interiors. This sixth generation new Sonata has interesting features like front and rear seat ventilation, high intensity Xenon head lamps, cruise control, paddle shift, 10-way adjustable power seat with lumbar support and a 4-way power adjustable front co-driver seat. 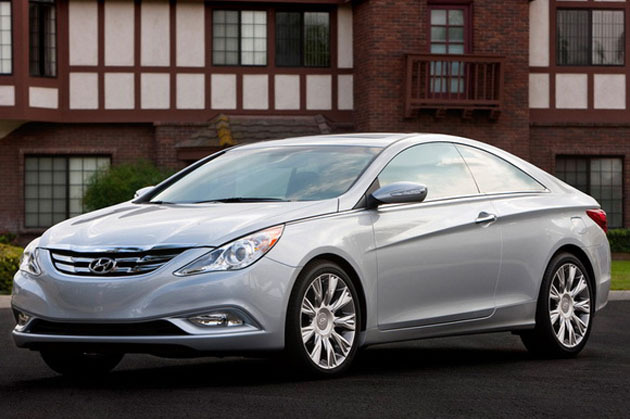 The eco-friendly Sonata comes with a host of occupant-protection equipment and accessories. It is equipped with 6 airbags, anti-lock braking system (ABS) with electronic brake force distribution (EBD), Electronic Stability Program (ESP), rear view camera and smart key with push button start. The new Sonata has a host of features to enhance the driving experience like the hi-visibility supervision cluster and a X-shaped centre fascia. The center console is positioned ergonomically in a high gloss film that lends it a sporty look. The new Sonata’s 2.4 liter GDI engine proves its technological might by delivering the best power for any in-line engine in the segment. It delivers201PS@6300rpm of maximum power and 25.5 Kgm@4250rpm of peak torque. The super-efficient petrol engine is mated to 6-speed manual and automatic transmissions. Optimum performance, fuel efficiency and low exhaust emissions are made possible by directly injecting highly pressurized fuel in to the combustion chamber while harnessing the benefit of Dual Variable Timing Valve Train (VTVT).The saurce of this news is yahoo.